It’s finally here! 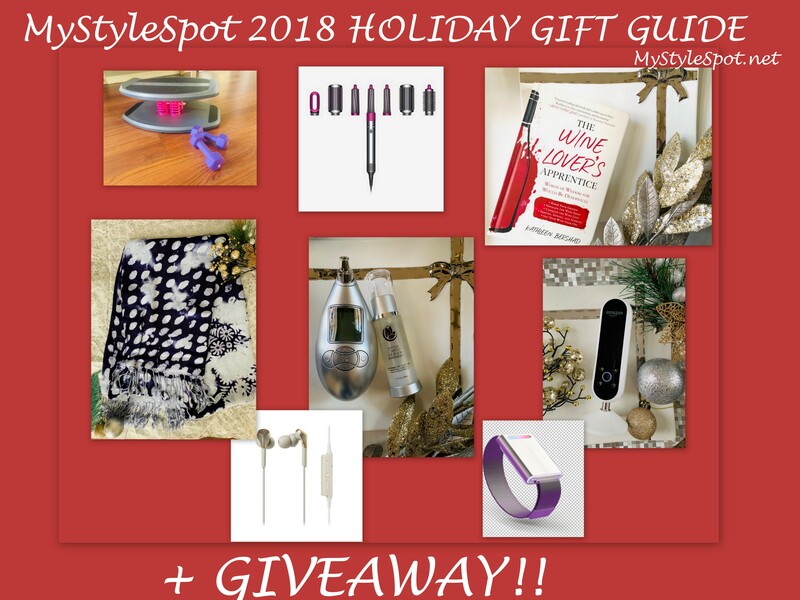 The MyStyleSpot 2018 Holiday Gift Guide! 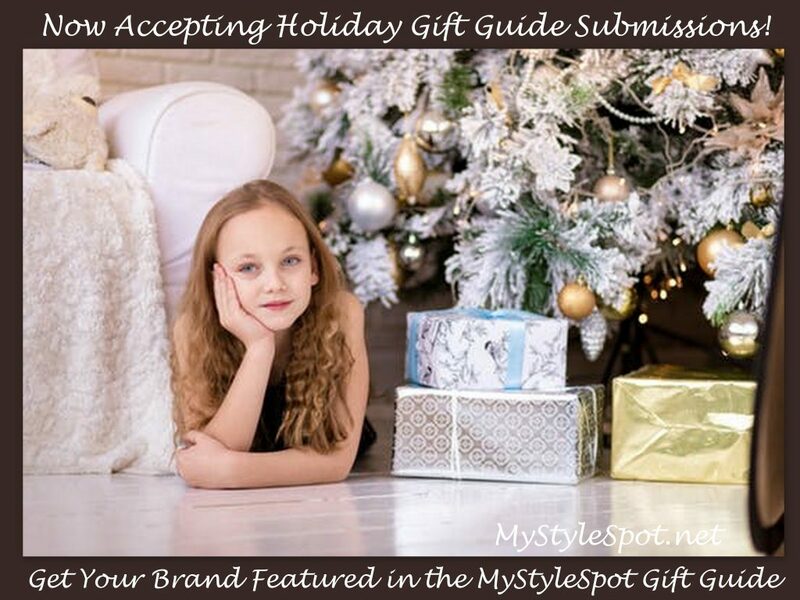 Read on for fabulous products for everyone on your Holiday Shopping List! Gifts range from $10-$550! Also, don’t forget to read to the bottom of this post where you will have a CHANCE TO WIN many of these fabulous Holiday Gifts, in the Rafflecopter form below! This handy tool does exactly what you pay good money for and spend all that time at the dermatologist’s office for, but you can do it right at home, in just 4 minutes, and it costs a mere fraction of what you’d pay your Doctor to have it done! In fact, it will save you (or your loved one!) thousands over time! Yes, THOUSANDS! Microderm GLO is safe for all skin types! Not only is it just as high-quality and effective as an in-office treatment, but it’s actually #1 Dermatologist Recommended! I’ve heard of dermatologists actually telling patients to get one of these handy devices and save themselves some time and money by doing this quick treatment at home! In fact, it was created by a group of award-winning dermatologists! Using the Microderm GLO regularly will also provide a more radiant complexion and glow too. It’s great for acne scars too and by keeping your skin healthy and clean, and shrinking your pore size too, it should help prevent future acne as well! I love how soft and smooth my skin feels right after using it! 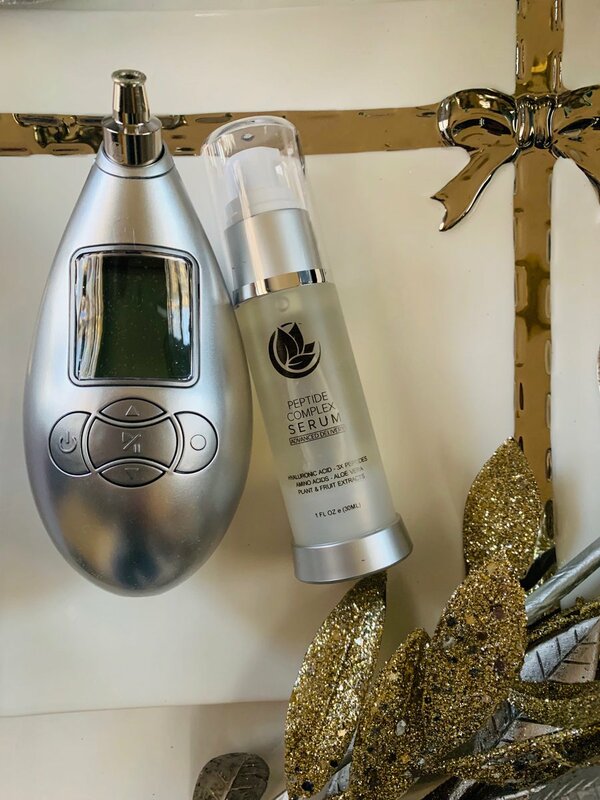 What I love most about it, is that not only does it treat the signs of aging, but by increasing blood flow to the skin, it actually helps prevent them too! That’s right, it works to actually stimulate collagen and elastin production and actually works to firm and tighten the skin and keep it that way too! It also helps skin generate completely new cells! Hello, new youthful, beautiful skin! It does all of this by gently and effectively removing dead, dull top layers of skin and even cleaning out dirt and grime buildup that may have been on your skin for years! I know, crazy right?! I had no idea dirt, bacteria, and grime actually built up on the skin, but it does. Cleansers are not always effective at completely removing pollutants and more from the skin, even though you may be completely thorough with your cleansings, you very likely still have some built up gross stuff that needs to literally be suctioned up and vacuumed off your face! Don’t worry, the Microderm GLO isn’t as scary as it sounds. It is completely 100% safe, and FDA approved, and it doesn’t hurt at all. It uses a breakthrough diamond exfoliation tip to help remove that buildup and layer of dead skin. The suctioning effect then lifts it up and removes it completely from your skin. Don’t believe me? Just check the filter after each use, and you’ll see for sure how much yucky stuff it’s pulling from your face! It’s crazy! I’ve loved using my Microderm GLO over the last monthh and have already noticed a significant improvement in my skin. My skin looks healthier! It has a nice fresh glow and looks more radiant too! It’s also already started evening out my skin tone as I’ve certainly developed some nasty sun spots from all my sunbathing this summer! It makes a great gift for women and men of all ages too! I’d love to get it for my niece who battled some acne in her earlier teens, to help diminish and erase the not-so-fun acne scars! Oh, and I’m not the only one loving this incredibly innovative at-home antiaging beauty technology! Microderm GLO has already earned 16 product awards, including being voted as InStyle Magazine’s 2016 Best Skincare Product of the Year! Read the Full Review HERE and Watch my Video on the Microderm GLO HERE. Use the Code: MYSTYLE20 and get 20% Off your purchase at MicrodermGLO.com today!